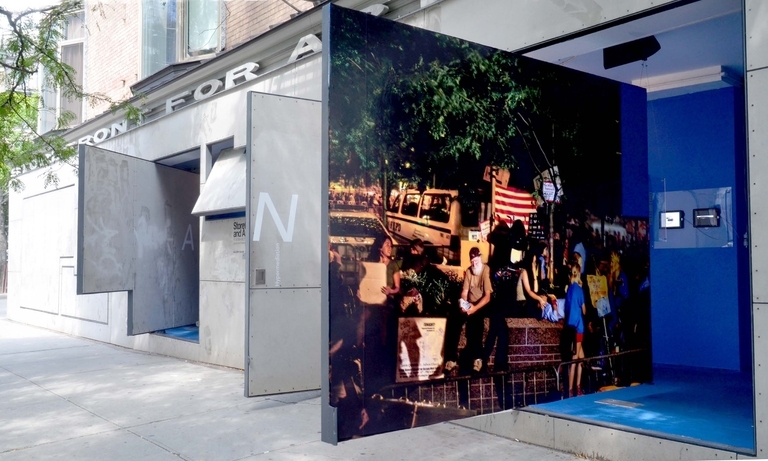 David Molander, Fountain LES, 2013. 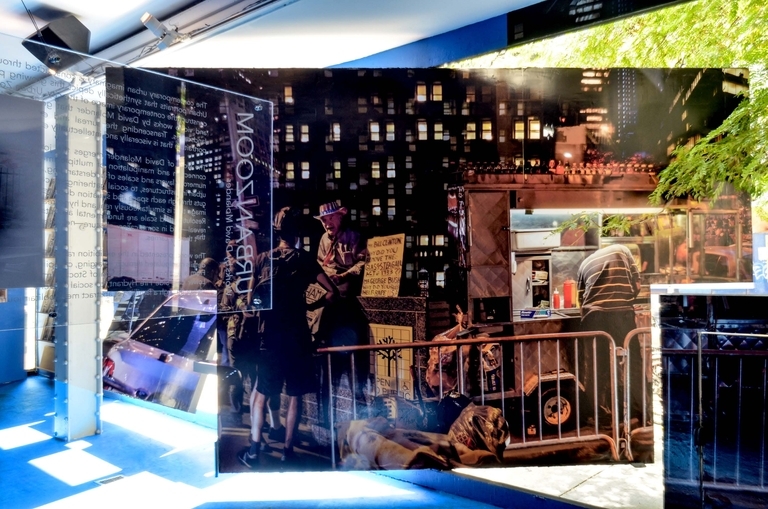 Opening Reception: August 2, 2013, 7:00 p.m.
Urban Zoom was a solo exhibition by contemporary artist and photographer David Molander. 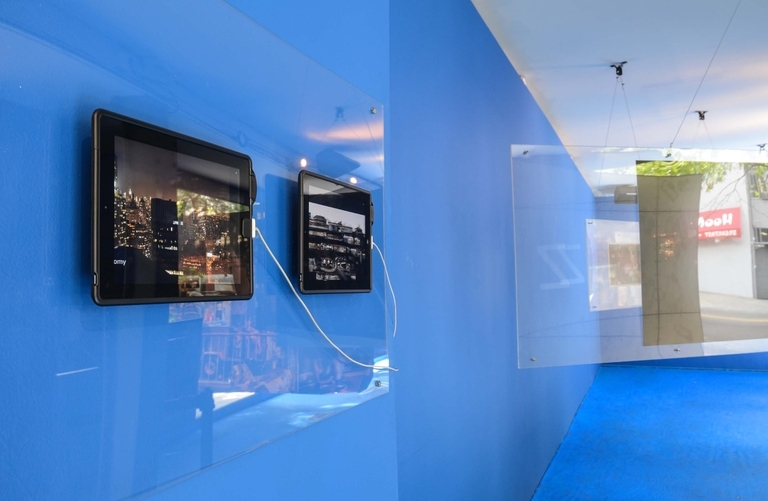 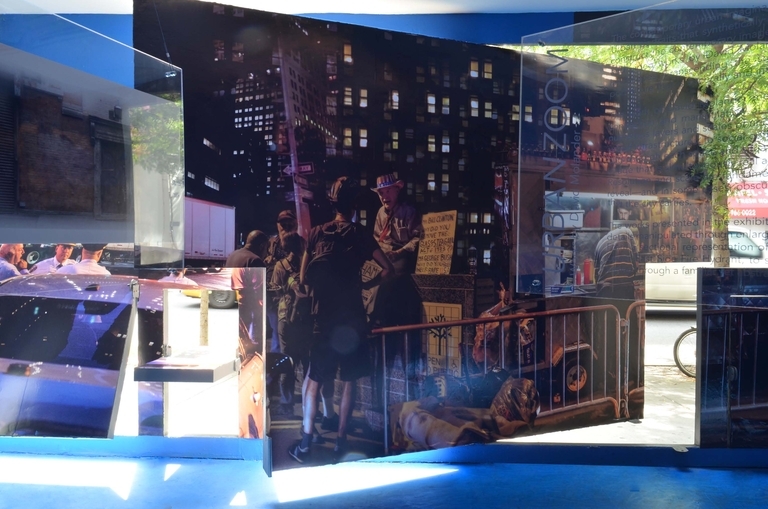 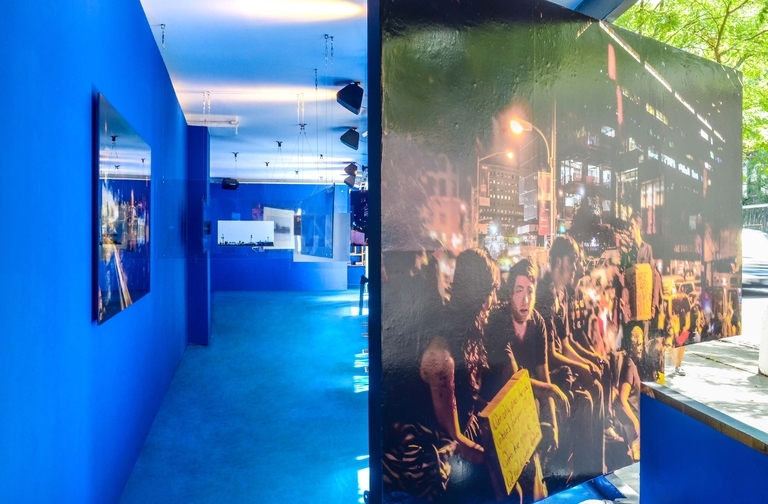 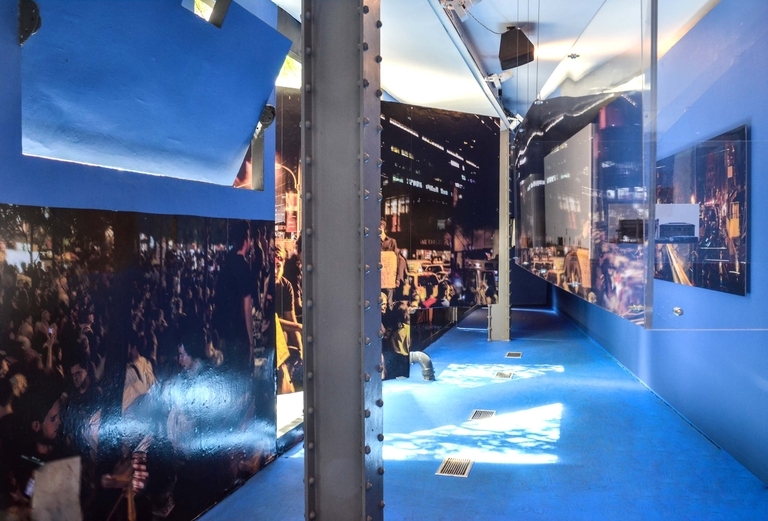 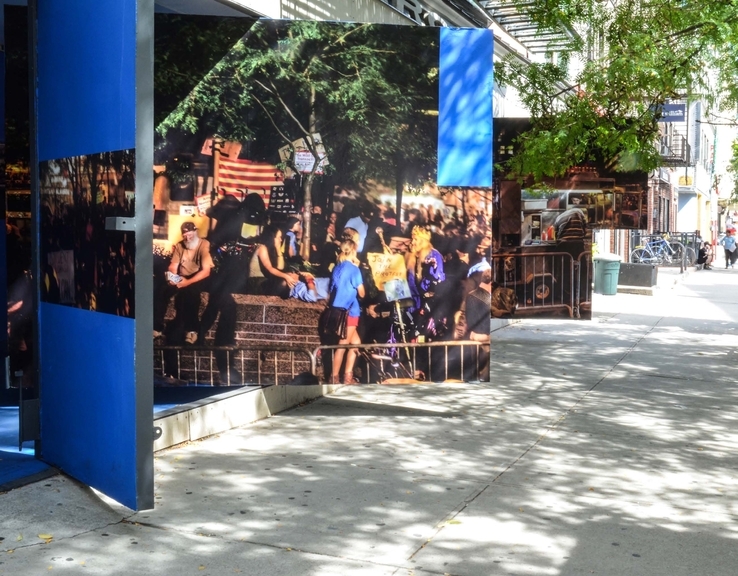 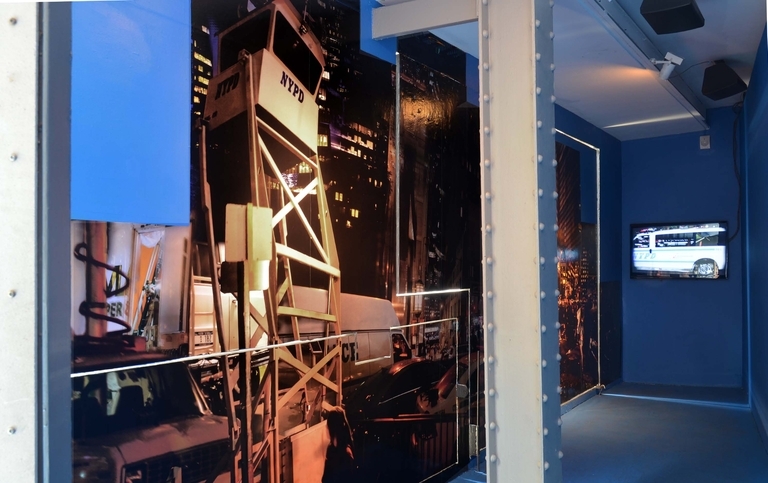 The exhibition presented a series of hyperrealist works that go beyond the surreal and expressionistic to depict contemporary urban and social landscapes, including events related to the Occupy Wall Street Movement in September 2011 through a site-specific photographic installation on the Acconci/Holl façade. 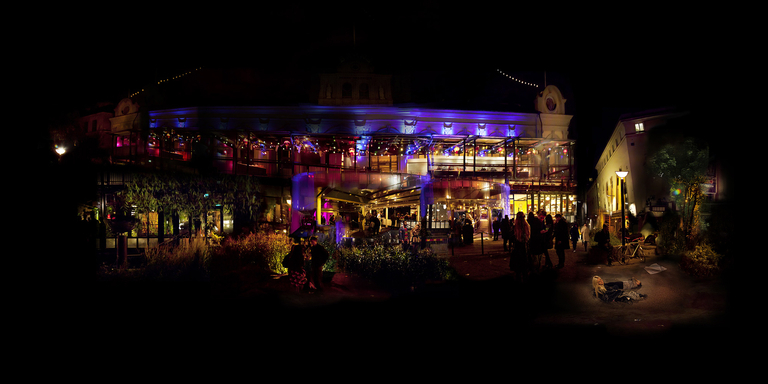 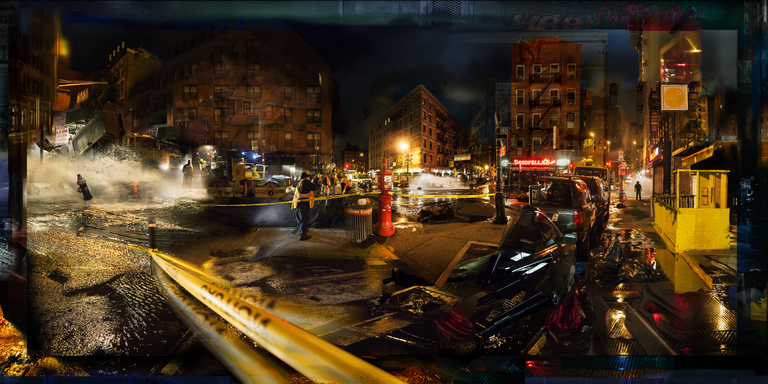 The works depicted various urban landscapes in New York and Stockholm: an accident on the Lower East Side, the loneliness of the Gowanus Canal, the psychedelic view of a nightclub in Stockholm. 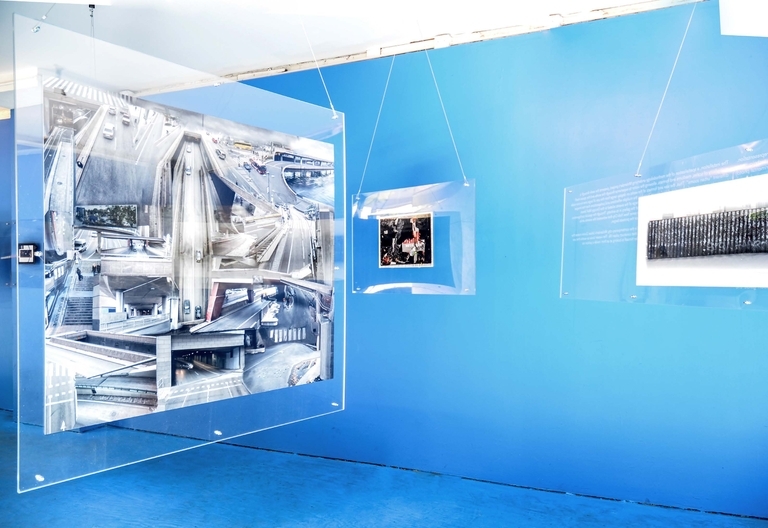 By manipulating the images through enlargement, cropping, dissection and zooming, Molander guided the visitor through a metropolitan journey, offering new perspectives of the urban environment. 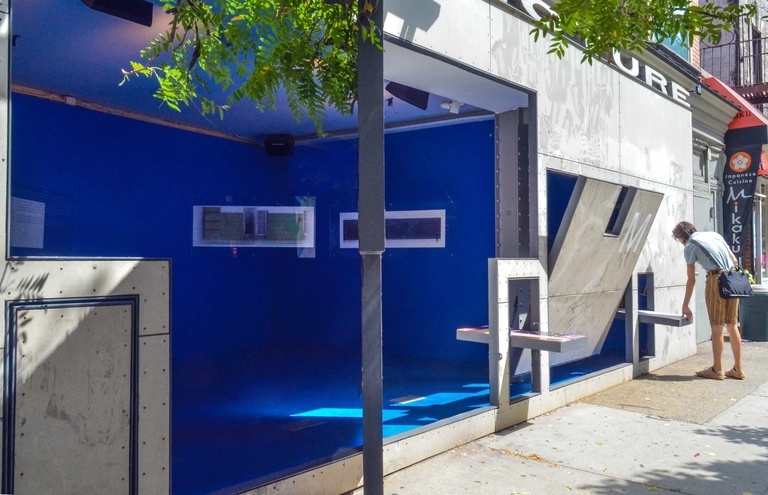 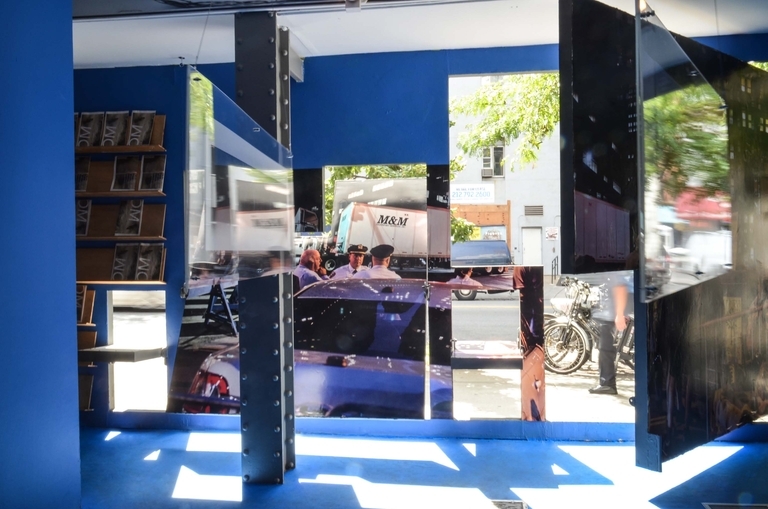 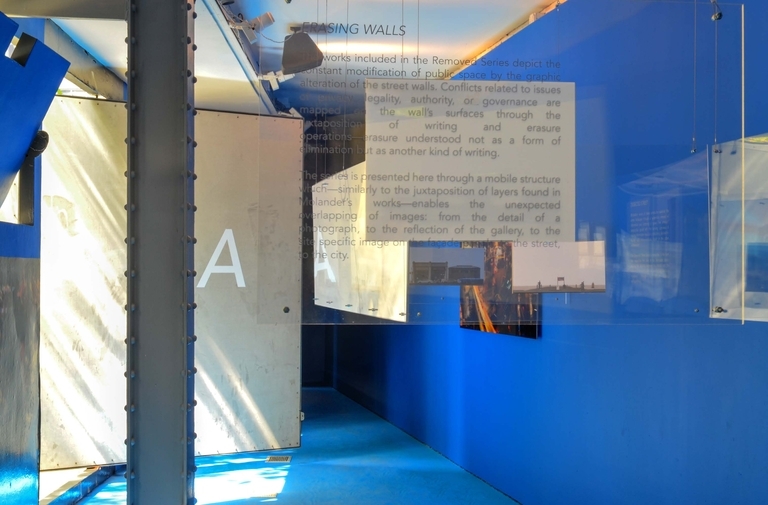 David Molander’s façade installation premiered as part of Storefront’s exhibition, POP: Protocols, Exhibitions, Positions. 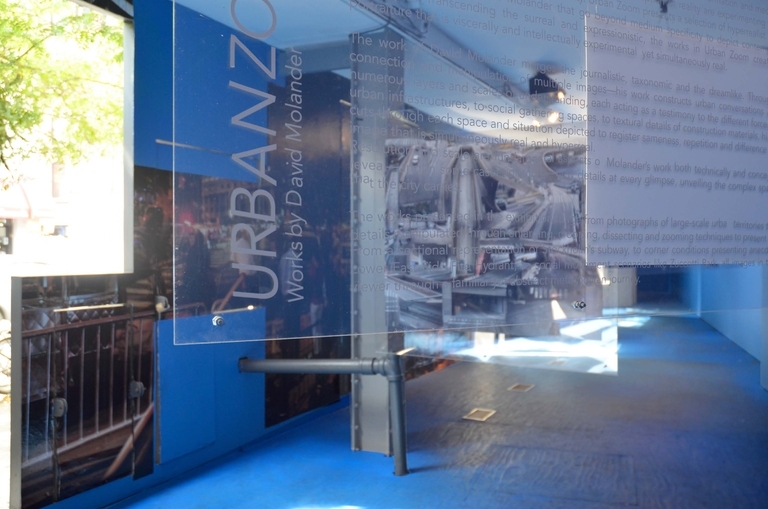 Exhibition Trailer: Urban Zoom: Works by David Molander from Storefront for Art&Architecture on Vimeo. 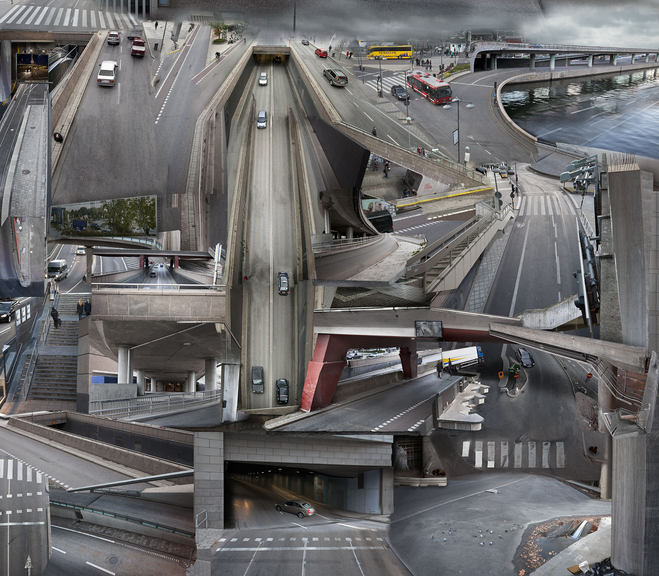 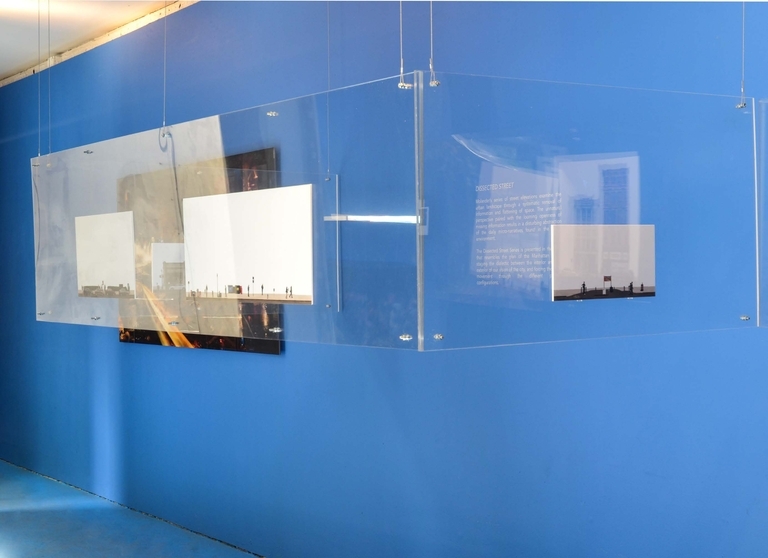 David Molander’s Urban Zoom was supported by the Consulate General of Sweden, Julie Saul Gallery and Konstnärsnämnden. 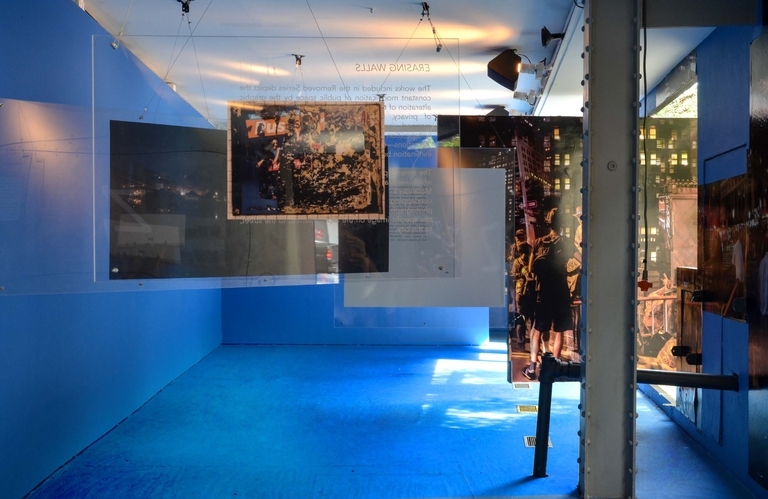 The opening reception of Urban Zoom was supported by Grolsch and Heart of Tea.